Jio Is No More Free: What's Next? Hi, friends... how many of you use Jio? I am asking to Only my Indian readers. It's a wrong step again taken by TRAI (Telecom Regulatory Authority of India) to block Jio's unparalleled journey. 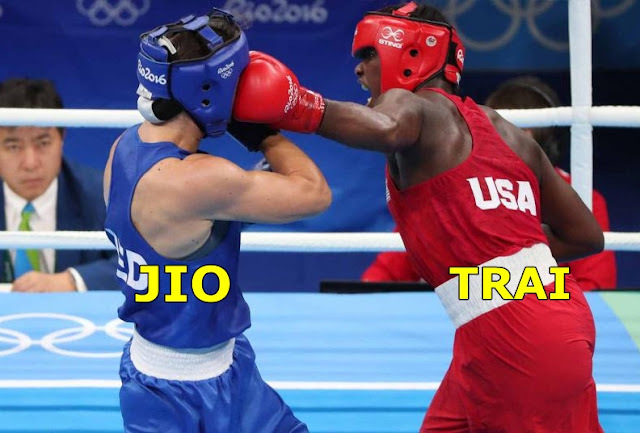 Jio's extended summer offer has to be ended as per notice of TRAI. Jio announced that they would give an unlimited offer for three more months. If you recharge 303 rupees for one month, you will get a free unlimited net for three more months. But today I got the news that TRAI is against their free offers and they asked Mukesh Ambani to cancel this offer. Though it was just a notice yet, Ambani agreed with the TRAI notice. Even he got a notice for free Jio offers previous year. Bharati Airtel and Idea Cellular are against them from the very beginning. As they crossed 100 million customer mark in less than six months. For that reason, top mobile networks like Airtel, Idea and Vodafone have to decrease their package dramatically. Obviously, they have to compromise hugely to keep themselves stuck in a good position in the competition. But as the days gone, Jio had been increased their validity day by day. It became so touch to bare the loss for so long. So now they are asking TRAI to close Jio's free validity period. The only good thing is that prime Jio members who have been recharged 303 packages, will get benefits for four months unlimited internet. I am one of them. But I think nothing wrong if I see the matter from Airtel's perspective. If you have a reputed business already for a long time and suddenly a newcomer came and beat you in very short period. Will you stand without taking no action? I know one more incident like this. When Google was a new coming search engine, at that time Bill Gate's company, Microsoft tried to abolish them. Trey tried to protect their search engine Bing's market. But they failed. As you know, Google is now called the search engine giant. And it will take ten years for Bing to reach the level of Google. What're the benefits of Jio? I am talking about Jio effect. Well, for Jio videos get a huge priority. YouTube views are increasing dramatically. It's definitely good for YouTubers who made at least 5-10 percent more earning from their video. And the annoying part is also video. YouTube live. Too many useless lives are everywhere in the Facebook wall. Have you no work right mow? How can you pass your time? Simple, let's start a Facebook live. Though I am very less active on Facebook. I don't talk much on Facebook. I don't start sending a message from my side to anyone except my best friend Uttiyo. And no one sends me a message. Maybe I'm boring. Maybe I'm not looking good. Maybe I'm not good as a person. I don't know the reason. At first, I felt sad for this reason. A boy wrote in his diary- what's my fault? Do you know? Even I don't know. I've removed all non-active friends. I don't like if I find no engagement from them. I had 1800 friends. Right now I have 150 friends. Even any IT company doesn't fire their under-performing employees that much. Right now I am getting an average of 5-6 visitors per day. It's good to see that most of them are organic traffic. Even I won't promote it in social media like Facebook or Twitter. Google plus is okay. I've already posted my blog link in the 4-5 blogging community. Even I don't think they allow self-promotion of not. Today I had an invitation from my neighbor. I didn't attend it. It was not intentional. I did not like to go any public gathering place. Even I have many problems with my diet chart. I don't eat fish, meat, sweet, ice cream. Yes actually in the most invitation, they serve butterscotch or vanilla. I don't like them. I love only chocolate cornetto. Flipkart is willing to buy Snapdeal for 1.5 billion dollars. Probably it will be Flipkart's third acquisition after Myntra and Jabong. No doubt they are the no. 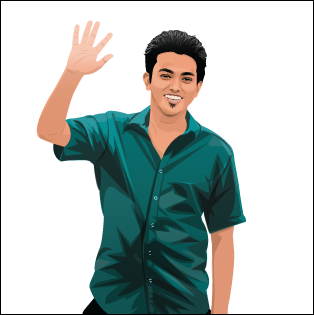 1 e-commerce site in India. Amazon India is now in the second position, though Amazon is the leading e-commerce site in the world. I use both Flipkart and Amazon. The difference I have seen among them is- you will find almost any product on Amazon, but the availability of the product is not quite sure to your area. Many things are not available in our area as this is not the proper city, you can call it town. In the city, you don't have to face such problems whereas Flipkart's collection is not so good comparing to Amazon India, but their product availability is quite good to almost any area. Even if you talk about the returning product, Flipkart can beat Amazon India in that service too. But at the end of the day. I must say both are very helpful. For example: when I bought my iPhone 6s, I asked few stores about the price, like Ezone. their price was 65000 rupees for 64 GB model. The almost Same rate in our local stores too. Then I bought the same product from Amazon India at 55000 rupees. Why so much difference? Well, if you buy this type of products you can avoid tax and vat a lot, so ultimately the products become cheaper than their market price. I have also used amazon.com which is the United States version as well as you can say the global version of Amazon. I bought a Vornado fan as Vornado products are not available in India. The price of the fan is $100, but I had to pay $200 for it as they added another $100 for the shipping charge and customs fees. It took almost 20 days to reach my home. I had to buy a step-down voltage converter also to use it because American voltage line is 100 volts here as Indian voltage line is 220 volts. So I had to step down the voltage with a converter. Honestly speaking, the fan is not good for Indian summer weather, but it's a kind of wish fulfillment. Well, no more now. If you have anything to say regarding this article, don't hesitate to send me a message below. I will reply you as soon as possible. If you need to contact me, check my contact page. You will find all of my articles HERE. I will be glad if I can help you. Okey. Take care. Have a nice day.